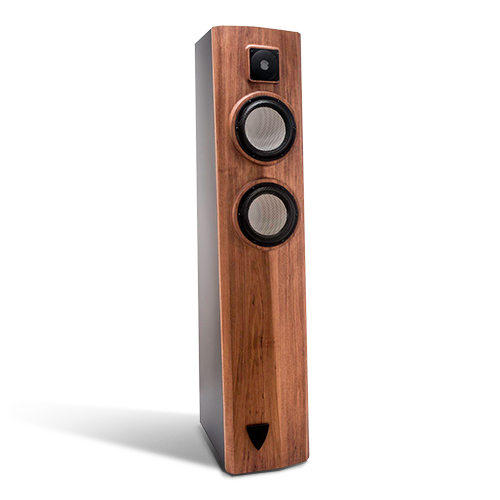 The Margules Orpheus is an outstanding solid performance loudspeaker with extremely accurate sweet dynamic sound that reveals spectacular detail, unveiling the most subtle variations with astonishing transparency and good efficiency. 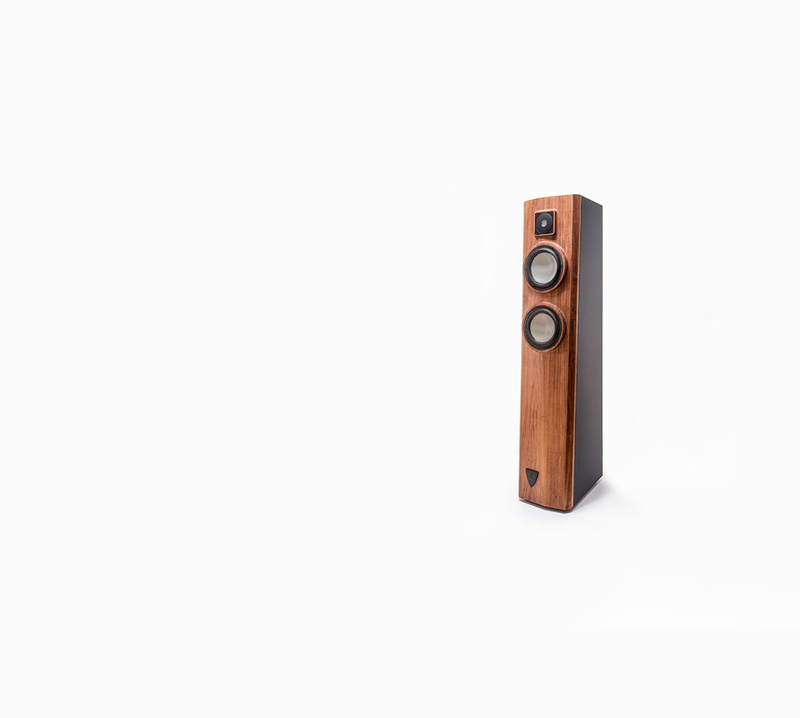 The Margules Orpheus is a three drivers system in a 2.1 configuration and a vanguard aesthetic. All its drivers are aluminum ceramic and titanium voice coil with an extremely low mass, high internal sound velocity and ultra-low distortion. 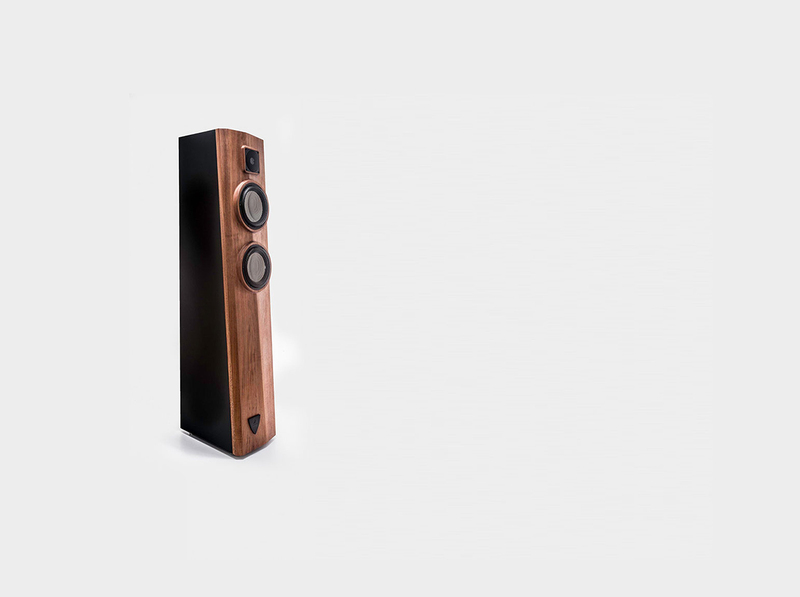 The stiff cabinet is constructed in layers of HDF combined with laminated Viroc to avoid resonance. Each driver is mounted in a separated chamber to optimize the acoustic alignment; the shape is designed in such a way that avoids comb effect and edge distortion. 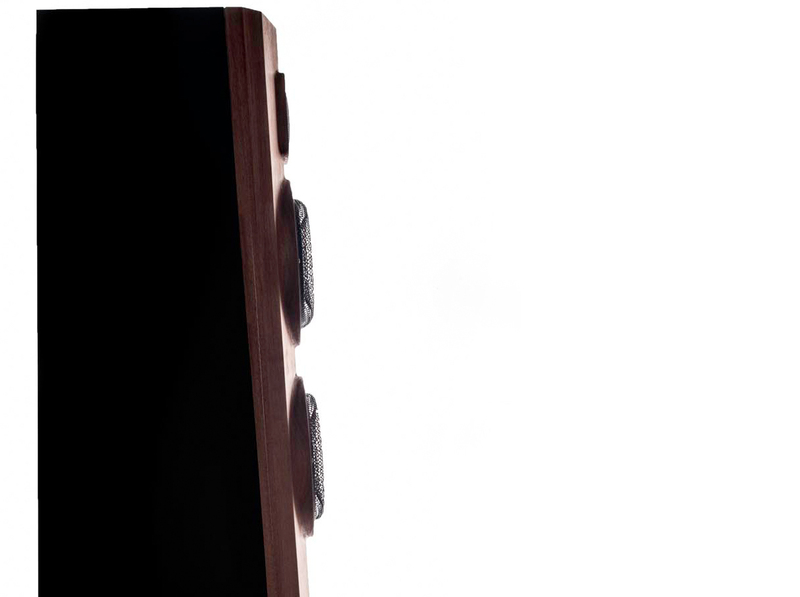 The beautiful front panel is engraved from a solid stiff tropical wood, finished with oil, so in case of a scratch is simple to repair. The lateral panels are finished in with a new high tech nonmetric material that in case of a scratch can be also easily repair. The Cross Over is a well-tailored first order phase and amplitude coherent X-over with pure coper air coils and audio grade low loses film capacitors.